Historian and author Kaye Dragicevich has been extensively researching the far north of New Zealand, the area where a large number of pioneering families came from Croatia in search of a better life over 100 years ago. 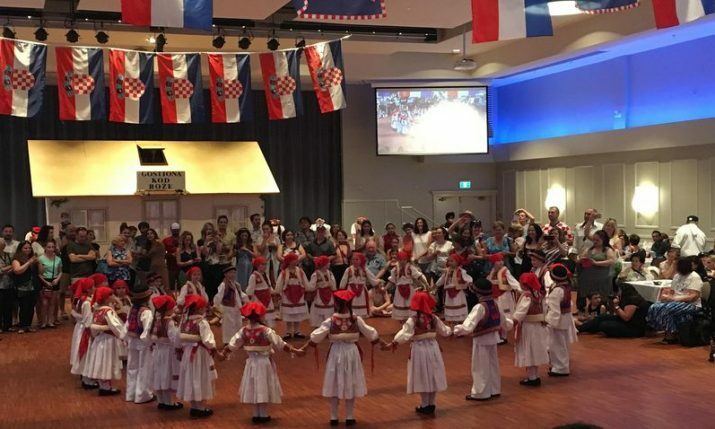 Her new book, titled Pioneer Dalmatian Settlers of the Far North, took four years to complete and features 200 interesting stories of families who arrived in New Zealand’s gumfield area in the far north from Croatia. 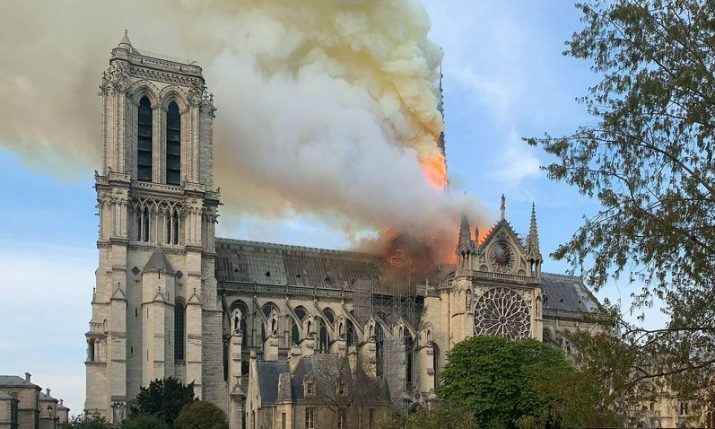 It also includes 900 historical photographs. This is the story of the Babich family. Josip Babich was born in Umljani in the province of Imotski. He was the fifth son born to Petar Babich of Runovic. Petar’s first wife, Matija Puliz, died in 1888 during the birth of their third child, Ivan. Petar later married Iva Karlusic, nee Selak. 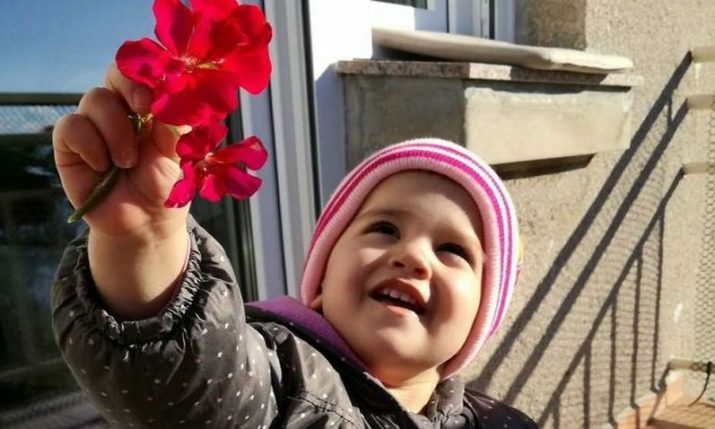 She was the widow of Andrija Karlusic. Peter and Iva had five sons, Stipan, Josip, Petar, Nikola and Luka. With no school in the area, many people including Josip’s parents were illiterate. His mother had lived a typical peasant girl’s life, looking after sheep, goats and grapes. From 1880-1883 Petar served in the Austrian Army in Budapest where he learned some literacy skills, which he was able to pass on to his sons. This was the only schooling they had. Umljani was in a mountainous region, where villagers lived in tiny homes, accessed by steep, stony tracks. 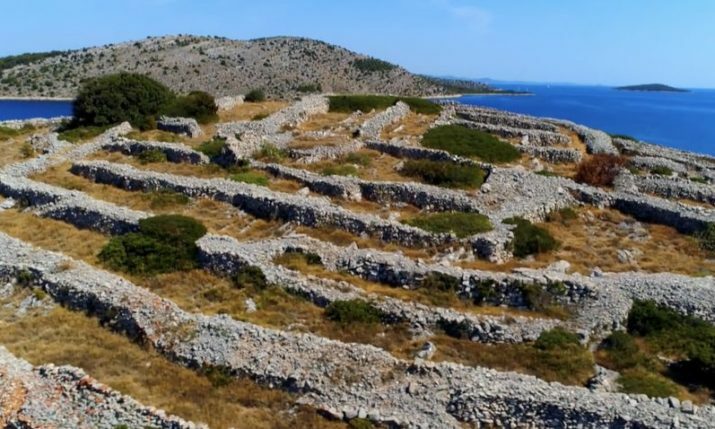 At this time only a few had travelled beyond the village, and then it was only to buy provisions in the bigger town of Makarska some 40 km away. 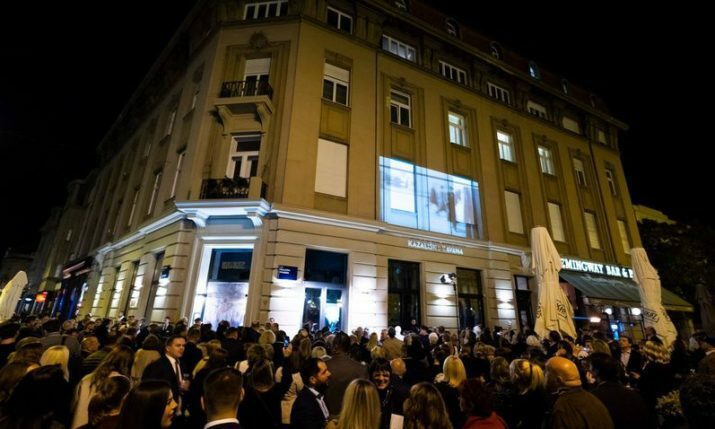 Josip’s father met Ivan Vella on one such trip. Ivan had been in New Zealand and told Petar there was a good living to be made on the gumfields. The only escape from a lifetime of poverty was to leave. As hard as it was, parents desperate that their sons have a better life told them they must immigrate to the new world. New Zealand was one of the countries they set their hopes on. They were encouraged to work hard, send money home to help the family and to forge a better future for themselves. Sensing a glimmer of hope and future for his boys and the family, Petar sent his first born to New Zealand. Jakov left home in 1904. His brothers Mate and Ivan followed in 1906 and 1908 respectively, then Stipan and Josip in 1910. Their departures from parents, home and friends were heart-wrenching but in the villager’s eyes, these boys were heroes, embarking on an unknown exotic adventure. Little did they know, it was not an adventure for the faint-hearted. Their father and Uncle Nikola went with Stipan and Josip as they travelled on foot from Runovic to Makarska. 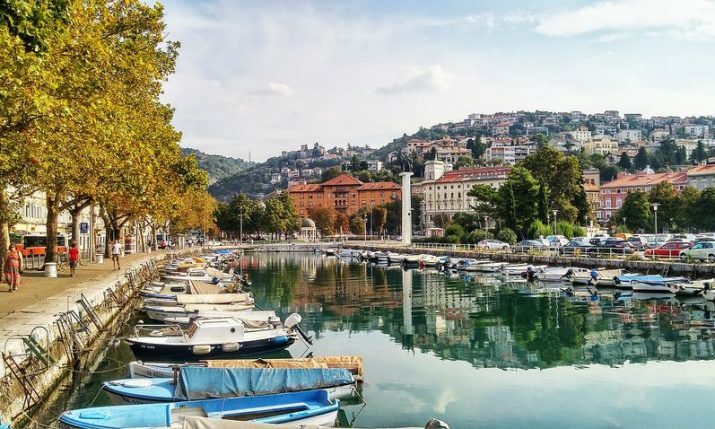 There they said their farewells and the boys boarded a boat Bosna to Trieste, then to Naples. Josip never saw his parents again. From Naples they boarded the ship Orsova, it was on its maiden voyage, to Port Said, through the Suez Canal, then Colombo, Fremantle and finally Sydney. The final stretch Sydney to Auckland was aboard the Maheno. There was no turning back, two boys from an impoverished background, with no knowledge of English had to face life in the new country. In Auckland, they were met by Jakov who travelled with them by boat to Awanui. Jakov was working at Sweetwater gumfields. They went by boat further north to Kaimaumau, then walked overland to Waiharara to join up with Mate and Ivan. There Josip began work, first as an errand boy and cook for a Dalmatian gumfield camp before becoming a gum digger himself. He became known as Joe in Waiharara. 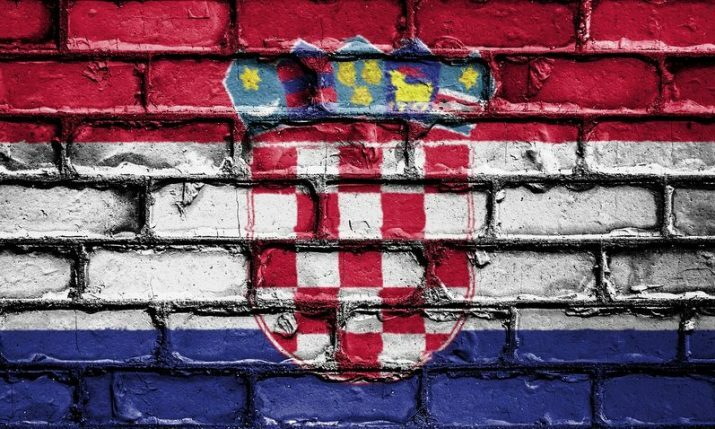 Jakov returned to Dalmatia in 1914 only to be conscripted into the Austrian Army. He fought and was wounded on the Piave River by shrapnel from an Italian shell. 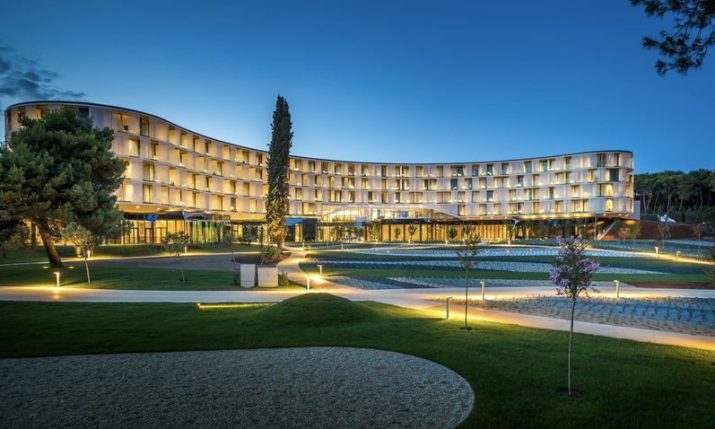 He was treated at Zagreb Hospital and sent home. Tragically he died in 1919 of the Spanish flu, leaving a young widow and baby. 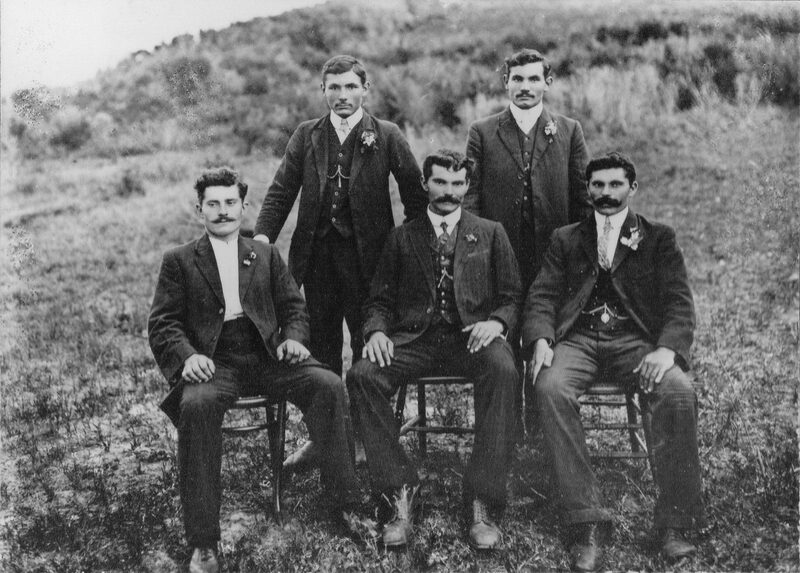 Early 1914 The Babich Brothers at Kaikino on the eve of Jakov’s return home – Back: Josip, and Stipan. Front: Ivan, Jakov and Mate. Josip disliked the gumfields. 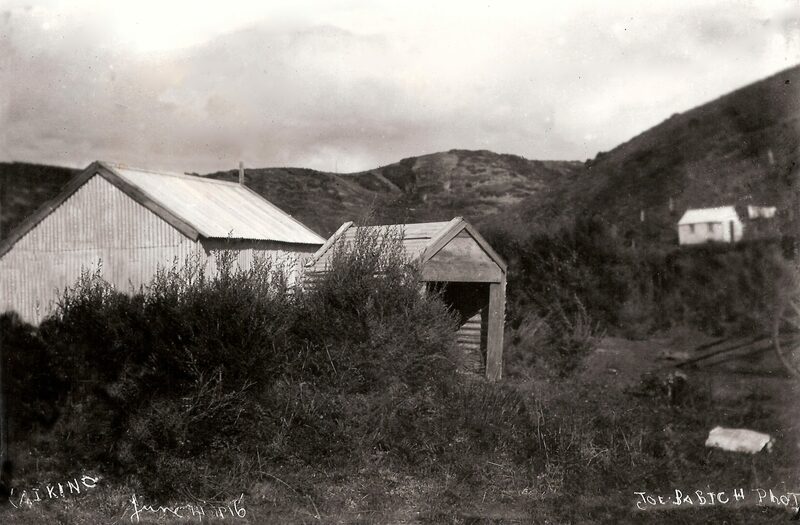 In 1912 he planted his first Isabella grapes, on terraces above the Kaikino Swamp gumfield and in 1916 produced his first wine from a windowless tin shed they called “The Kaikino Wineshop”. He filled casks and bottles bearing the label Babich Brothers. From this humble start, he was not on his way to making his fortune, certainly not in remote Northland. For a £1 sale, Josip rode 80 miles (127km) on horseback, with a dozen bottles of port slung over his saddle. New Zealand law stipulated the minimum quantity of wine per sale, had to be no less than two gallons, (nine litres) at the time. 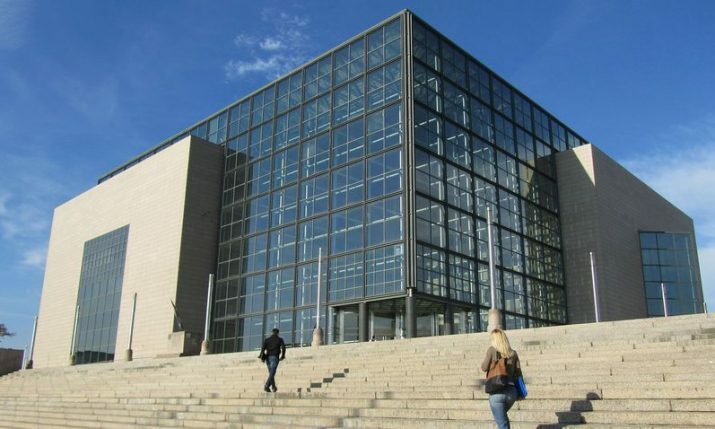 Following prosecution for selling wine at below minimum quantity, Josip’s lawyer urged him to get away from the place, “No future for a winemaker up here”. 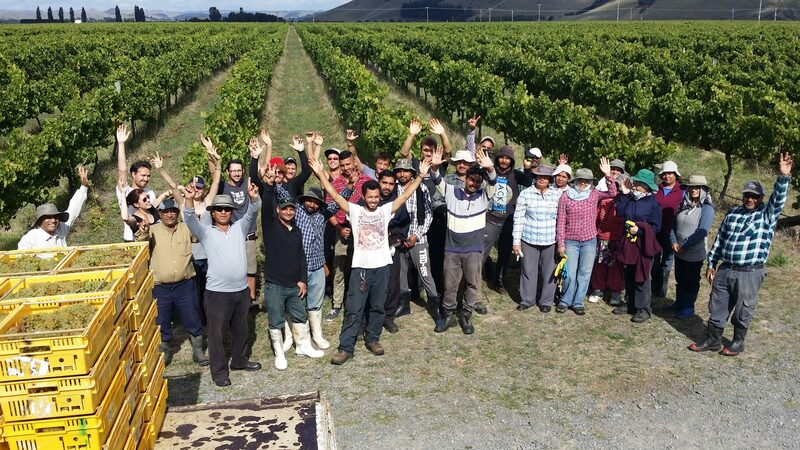 A group of visitors at the Kaikino vineyard and winery. The men are probably a local lawyer and strong supporter of Josips winemaking (right) and a school teacher who helped him learn English. 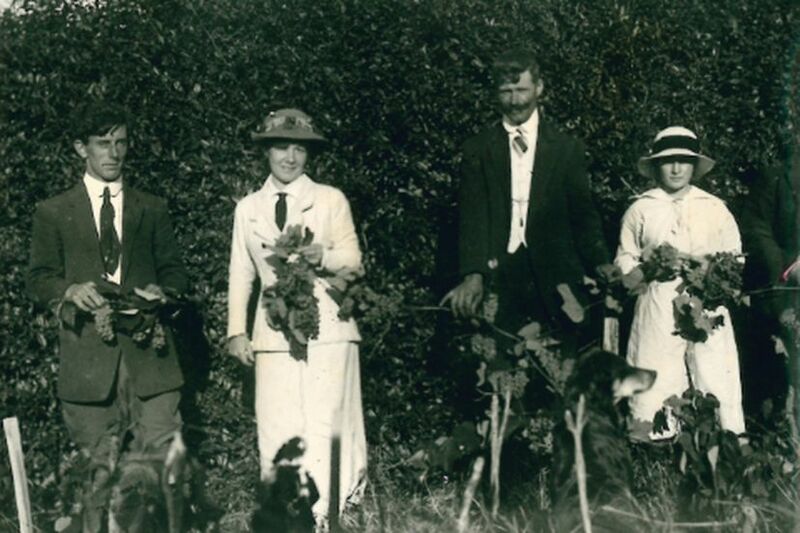 In 1919 Josip, Mate, Ivan and Stipan moved to a 72-acre wilderness property they purchased in 1911 at Henderson Valley. They worked the land jointly. To generate an immediate income they milked cows and grew vegetables. 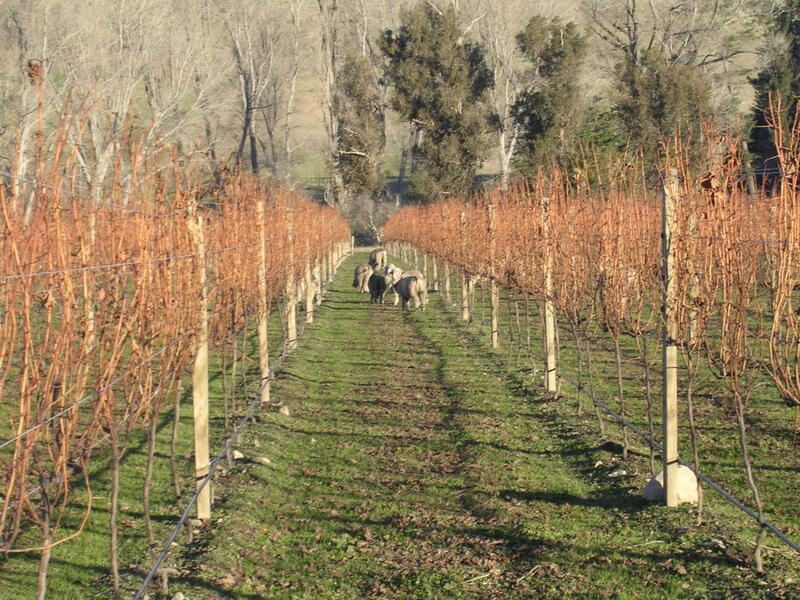 For the longer term, they planted a vineyard and fruit trees. 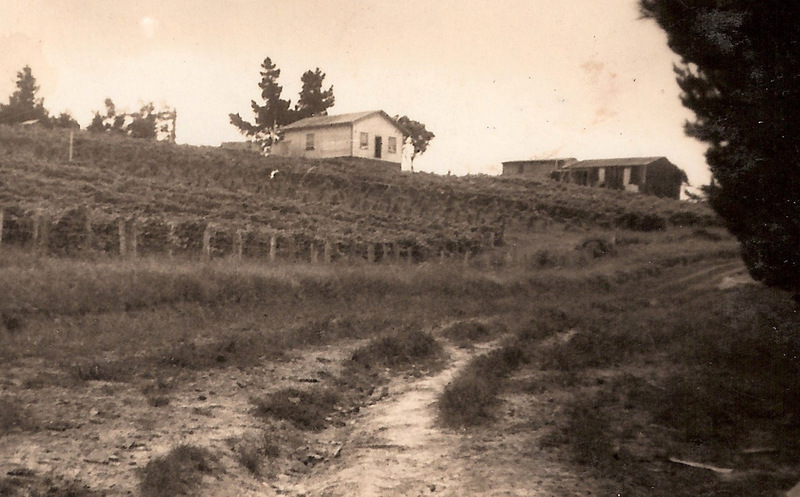 Winemaking was resumed in the 1920s. This time Josip was hawking his port and sherry in bottles and half gallon jars around the streets of Auckland by a horse and cart. 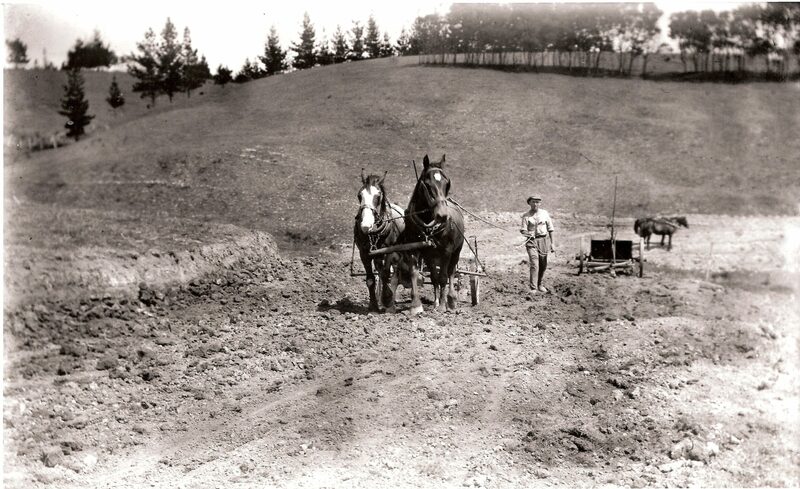 Nick Delegat working a horse team during the construction of Babich Road, Henderson. Ivan died of pneumonia in Auckland Hospital in 1922 and was buried in Waikumete Cemetery. Mate established a contracting business in Whangarei. He learned to speak English then mastered the Maori language and he became an interpreter for the Maori community in Northland. In 1941 he married Maria Fabianovic. He died in 1958 and is buried in Whangarei. Josip was introduced to Mara Grgic by his cousin Ivan Babich’s wife, Vinka. Mara was the daughter of Ante Grgic and Tomica, nee Jukic from Vlaka. Mara had a rocky start when she arrived in New Zealand early 1929. Her sister Manda was living in Waiharara, married to Mijo Zidich. Manda encouraged Mara to come out and arranged to meet her when the ship docked in Auckland. However, when Mara arrived, her sister was nowhere to be seen. As it turned out, Manda’s husband was taken ill and she was with him in hospital. Fortunately, Mara was helped by a Dalmatian speaking officer who took pity on her. He took her to a boarding house in Federal Street, from where she had to find her own way to Waiharara. On 31 July 1929, Josip and Mara were married in Saint Patrick’s Cathedral. Stipan married Mili Sumich from Podgora on 14 May 1930 also at St Patrick’s Cathedral. At this time the land at Henderson was divided. 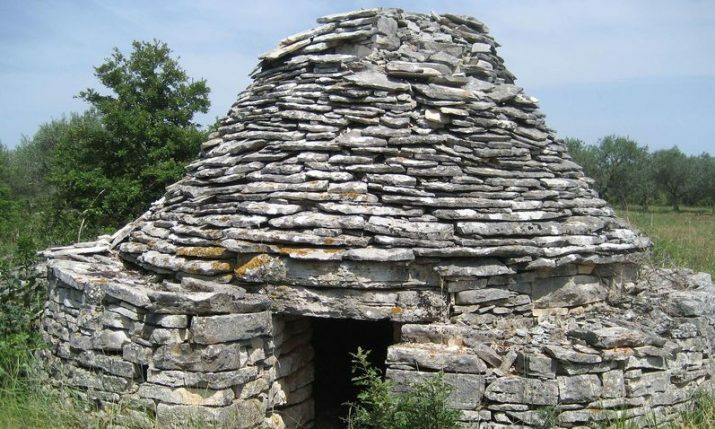 Stipan continued with fruit orchards and dairy farming, while Josip kept the vineyard and winemaking. 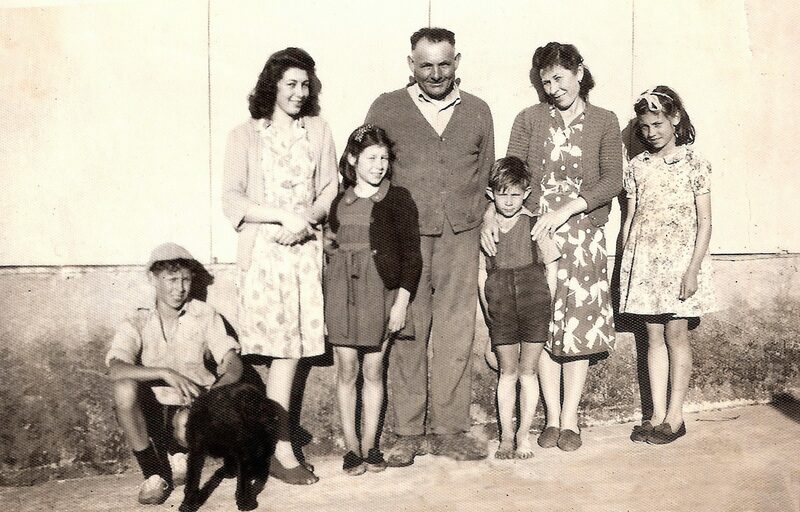 Josip and Mara went on to have five children; Ivy, Peter, Shirley, Maureen and Joseph. Their business was based on hard work, honesty, and integrity and delivering value to their customers. They cared for the land as they cared for the people. In 1948 Peter joined the family vineyard and then 10 years later Joe followed. 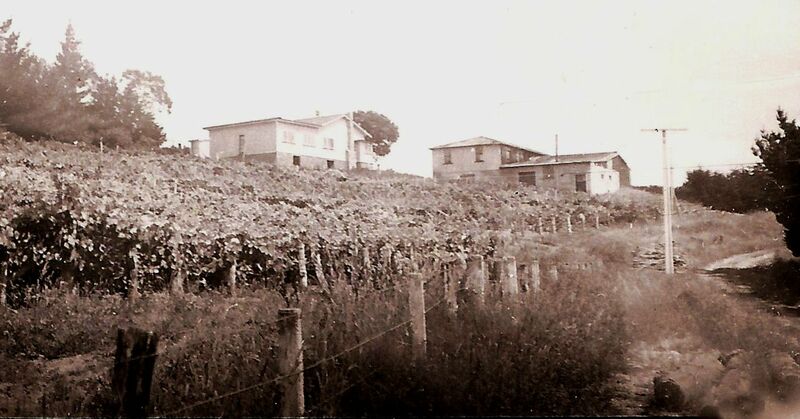 Increased sales allowed the expansion of the winery and vineyard during the 1960s and 1970s. Their vision to the future was to produce nothing but excellence. 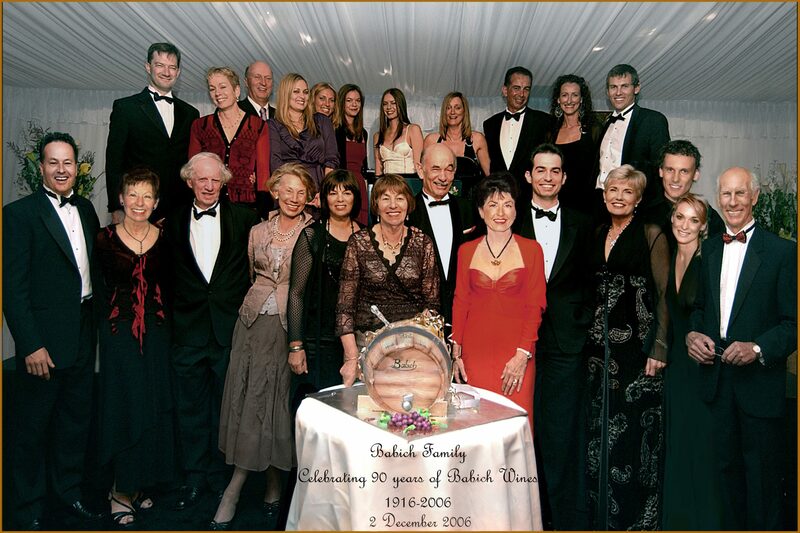 Babich Wines have won many national and international awards. In 1980 they sent the first exports to Europe (Germany) which Joe considered was a great achievement in his career. 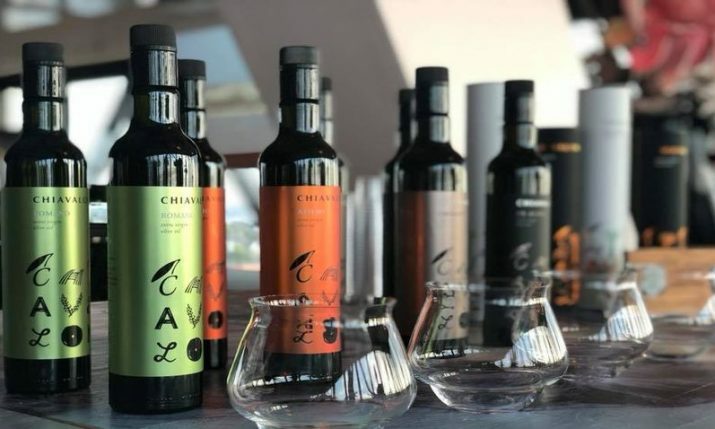 Exports now go to more than 20 countries and now exceed domestic wine sales. 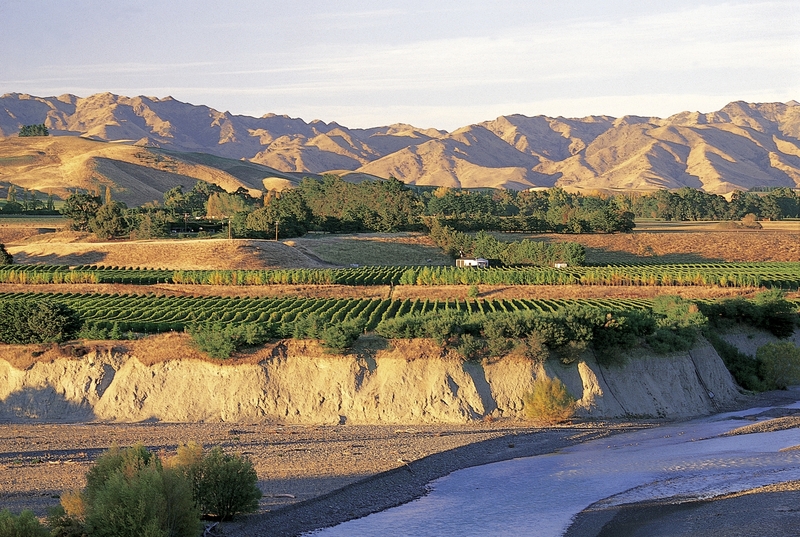 The company now have vineyards not only in Henderson but also in Hawkes Bay and Marlborough. 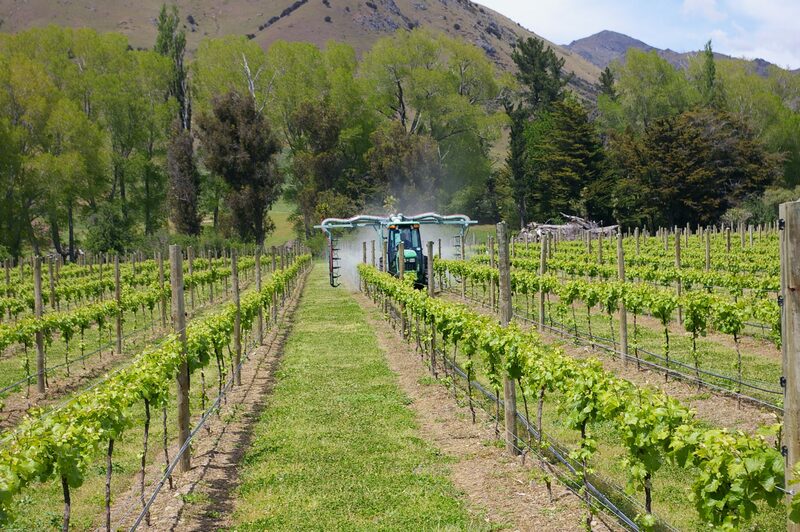 Spring spraying in Cowslip Valley in Marlborough with modern technology. Josip and Stipan remained devoted brothers, living with their respective families on Babich Road until Stipan died in 1977, aged 84. His wife Mili died in 1993, aged 87. 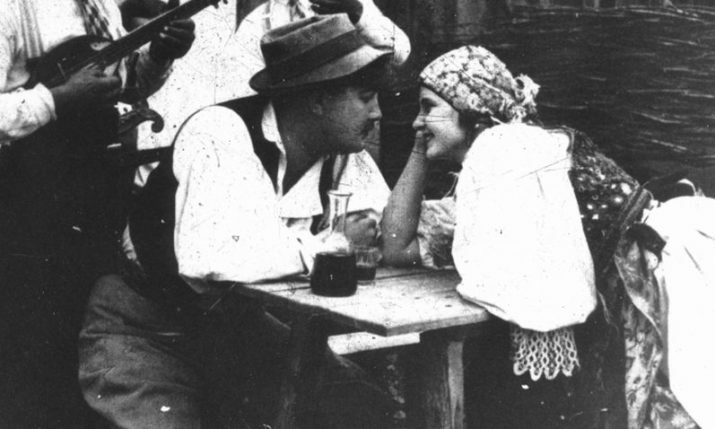 Josip died in 1983, aged 88. His wife Mara died in 1994, aged 91. They are all buried in Waikumete Cemetery. 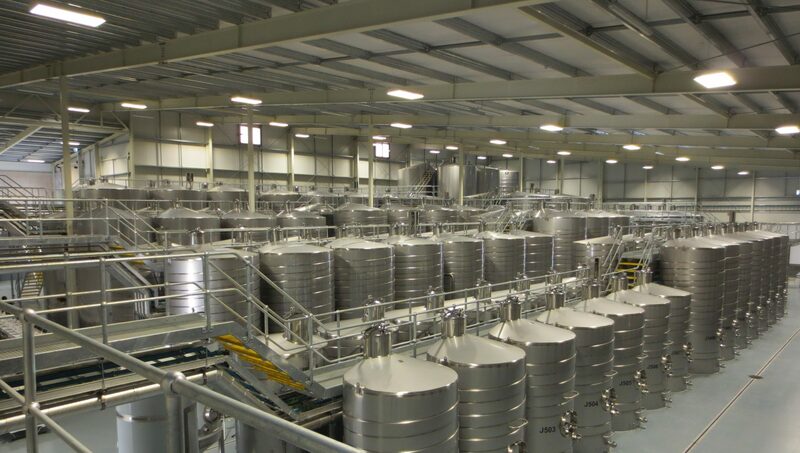 New Winery in Marlborough with arrays of tanks and fermenters in place. 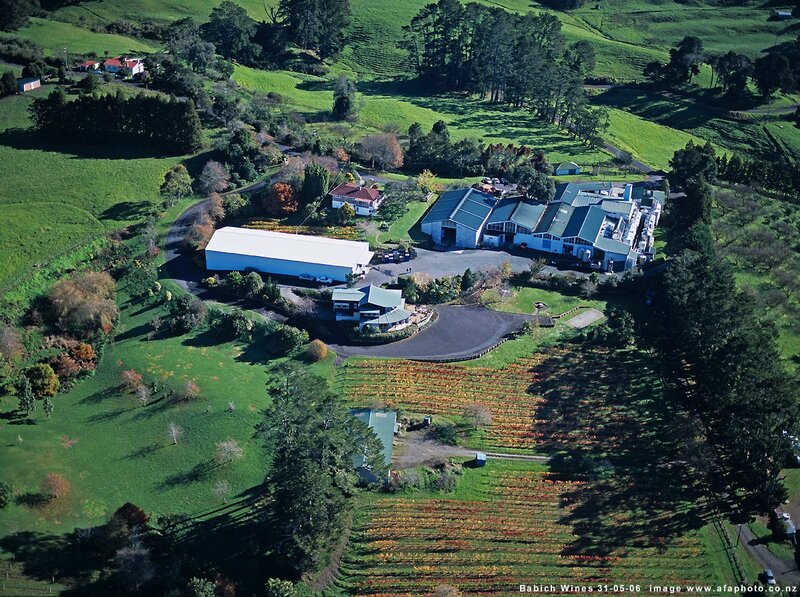 Josip Babich and his family have made a magnificent contribution to the New Zealand wine industry, from a fledgling industry to a major export earner. 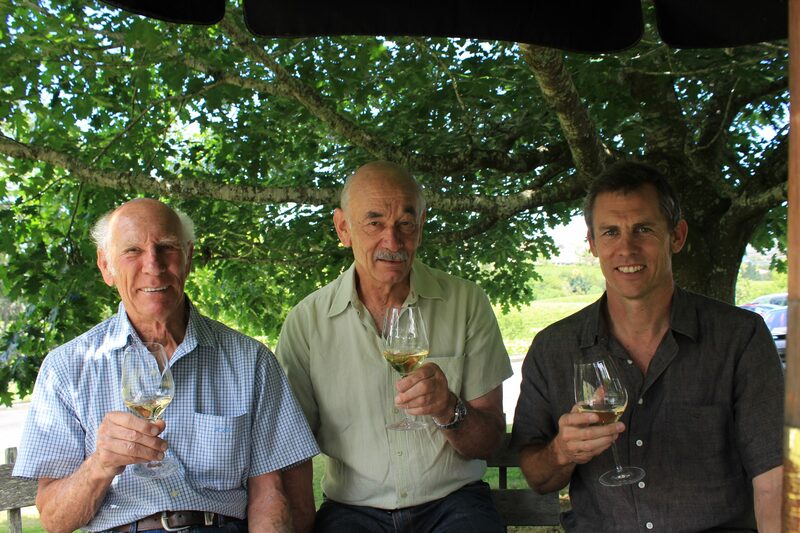 Josip’s sons Peter and Joe and grandson David are highly respected in the national wine industry and are actively involved in industry policies. The Babich family are a fine example of what can be accomplished with hard work, determination, and always striving for excellence. Their achievements are indeed remarkable. There are many more stories available to see on the Facebook Group Page Pioneer Dalmatian Settlers of the Far North.